The only way to know if it’s time to invest in your website is to take a step back and reflect. To help you evaluate your need, ask yourself these 7 crucial questions. What role does your current website play in your sales strategy and is your website generating any sales leads? Don’t you wish you had a 24hr sales person that was working on connecting with new potential customers all day, every day? Well, that’s how you should be viewing your website. Shouldn’t your website help educate and inspire those coming to your website for information related to your product/service? If you have a website that no more than an online brochure, you may be missing out on some great opportunities. How does your current website represent your brand? You have a certain way that you communicate with your customers. It’s not only what you say, but how you say it, when you say it, where to say, and why you say it. The same principles apply to your website. If there is a disconnect between how you present information in person vs how your website represents you online, you need to consider adjusting your website. Does your website help answer key customer questions? Just like any smart, savvy salesperson, your website needs to anticipate the needs of potential customers. If a user isn’t quite ready to buy, it’s unlikely they are going to contact you to ask questions. However, they will happily browse your website looking for answers… but, they may not have the patients to browse too long. In order to capture the attention of a potential customer, you need to have the right information that answers the right questions, at the right time the user needs it. If you don’t, they’ll move on to the next website leaving you, maybe never to return. Is your website mobile-friendly/does it work well on mobile phones? This is crucial, no joke. Recently, Google has taken measures to focus more heavily on the mobile experience of a website vs the desktop experience. A website that wants to be competitive need to consider how their website looks, functions, and delivers across mobile devices. 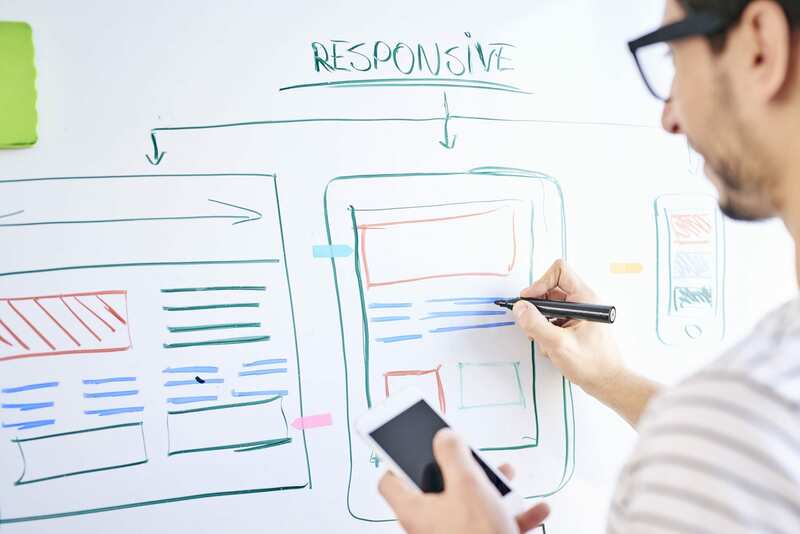 Industry standards are to have a website that is “responsive,” which means that the layout is flexible so it can fit any screen be it a desktop, laptop, tablet, or mobile phone. Most importantly it needs to load fast and be easy to use and navigate. “Hello, is anyone there?” If your last blog post is from 2 years ago; your website has products that you no longer offer; videos that appear dated; or images that have gone stale; you may be hurting your credibility by appearing as if you lagging behind the other experts in your field. Updating your content with fresh headlines, copy, images, videos, or even color palettes will go a long way when people are quickly browsing through all the options that are delivered to their fingertips. Is your website visible on search engines such as Google? More importantly is your website visible on the front page of the search engines? If the answer to either of those questions is no, you may want to evaluate your current website stats to see if the users that do get to your site actually stay around long enough to care. Honestly, there are many factors that need to be considered here, but a website that is easy to use, keeps users’ attention, and has been optimized for search engines is necessary to be relevant on sites such as Google, Yahoo, or Bing. Does your website content help sell the story of how you help your customers win? “It’s like putting lipstick on a pig.” This somewhat comical proverb can be used to describe websites that look sharp, but don’t really have anything useful to say. Often, the differences in your product or services aren’t revolutionary compared to your competition. So why should someone choose you? That’s where your story comes in to help win the sale. Ultimately your customers want to win and your story needs to tell how your product or service will help them up onto the podium. Need Help Making a Decision on Whether to Redesign Your Website? Struggling to decide if your website needs an overhaul? We offer a free, in-depth website audit that will tell you exactly where you stand and what kinds of improvements to consider. We also offer a simple, 5-minute website ROI calculator that will help you evaluate the return on investment you could see from improving your website.